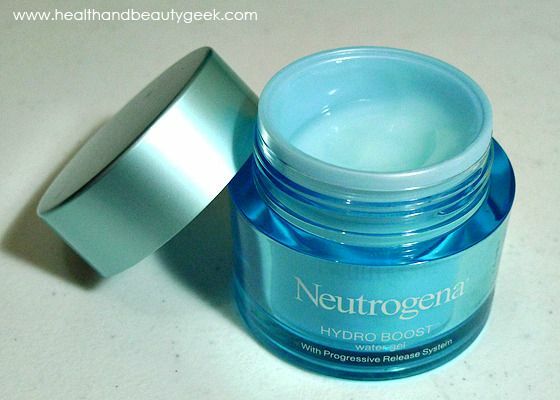 Neutrogena Hydro Boost Water Gel Moisturizer launch and review | Badudets Everything Nice! 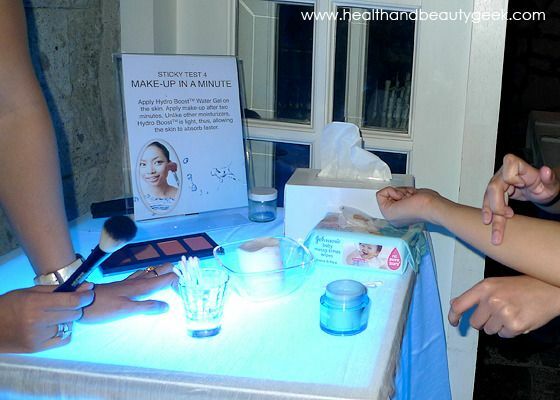 I have to thank Neutrogena and Ogilvy for the really fun and interactive night, they prepared some activities for the bloggers to show and prove to us how amazing is the Neutrogena Hydro Boost Water Gel moisturizer. 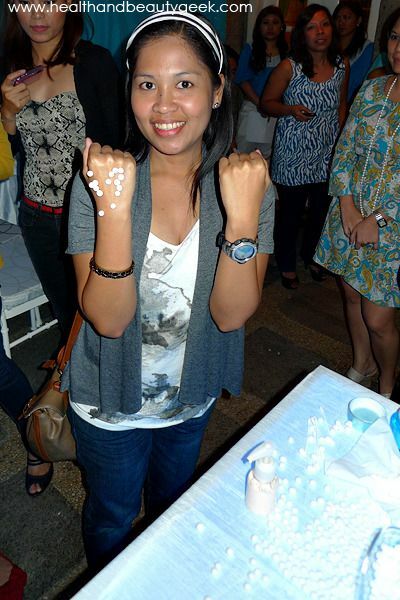 With Neutrogena Hydro Boost Water Gel applied, there is no sticky feeling even if you rub each other’s cheeks. 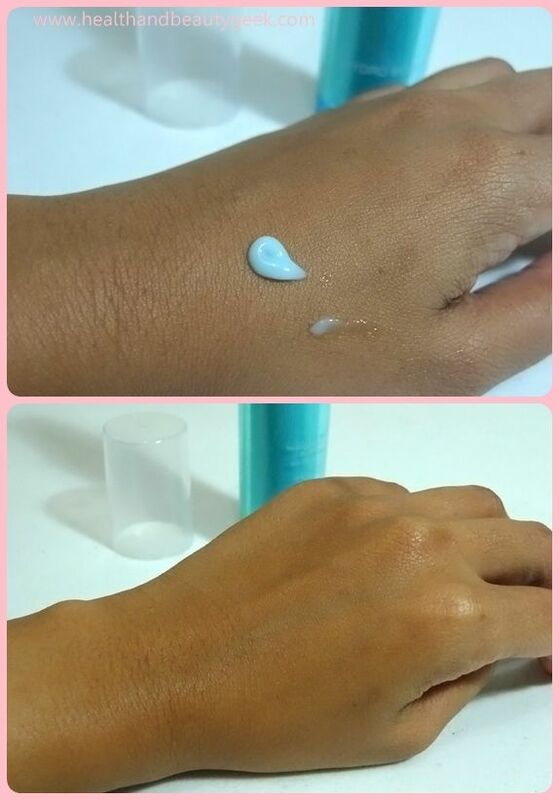 One oil-control film was applied with Hydro Boost Water Gel and one was applied with a Brand X moisturizer. After a few minutes, the water gel was absorbed by the film immediately. The make-up test. 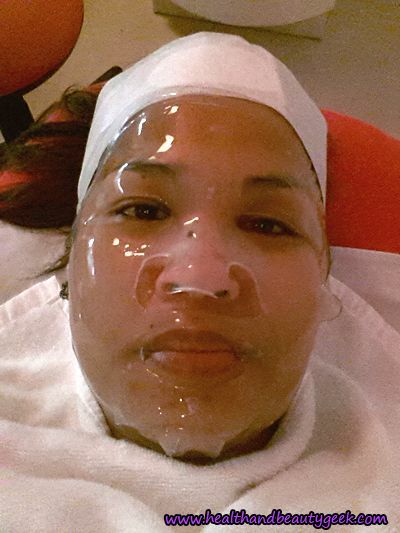 Because the water gel is absorbed very quickly, you can apply make-up right after applying the moisturizer. Yes, no need to go in front of the fan just to dry your moisturizer. The last experiment was called The Sticky Balls test. 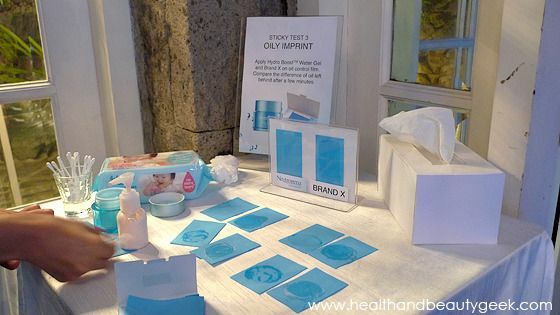 This is my favorite among the tests, Brand X was applied on my right hand and water gel was applied on my left hand. After that, styro balls were sprinkled on top of my hands. Look, no styro balls on my left hand! 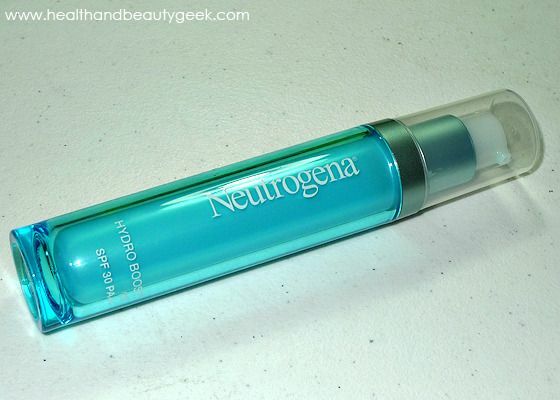 Neutrogena Hydro Boost Water Gel moisturizer is indeed NON-STICKY! Of course, I went home with these great products from Neutrogena and I immediately used it. I love its mild scent, seems powdery to me. 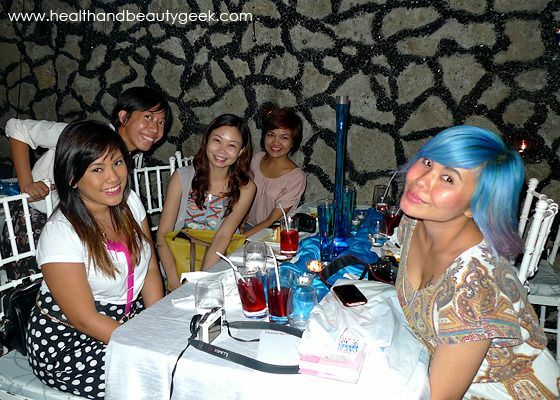 I also love the classy aqua blue glass jar. You can see that my skin drinks up the water gel oh-so-quickly. When applied to my bare face, it’s really non-sticky. I’m using this as my night moisturizer and upon waking up in the morning, my skin feels supple and moisturized. I love the sleek and slim packaging. 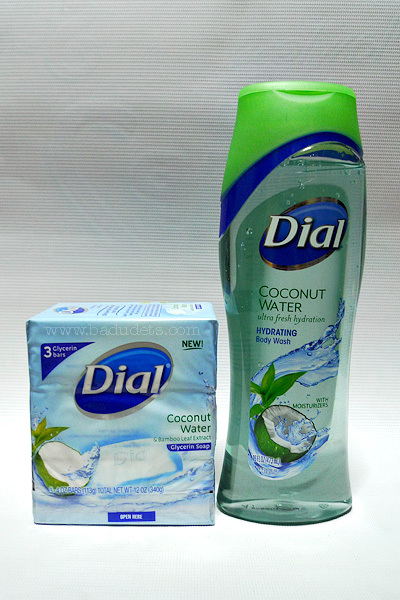 It also comes in a pump bottle so it’s very hygienic, no double-dipping issues. 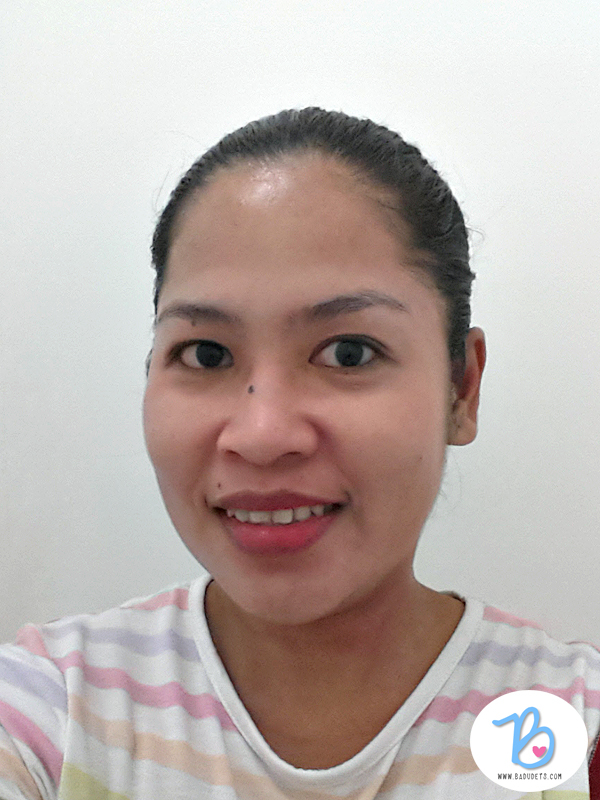 Just like the water gel moisturizer, this one with SPF 30 is also absorbed by my skin quickly. But I feel that it leaves an invisible film on my face, maybe because of its sunblock property. 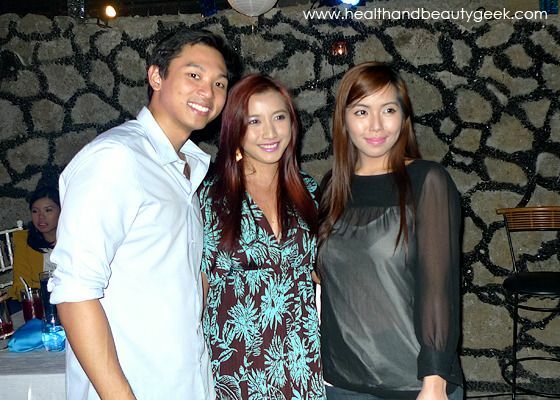 The gel with SPF 30 is not that translucent compared with the water gel without SPF. Nevertheless, it still made my face non-greasy and moisturized for hours. I highly recommend these two products as moisturizers. I’m guilty of not using moisturizers on my face because my skin is oily and using a moisturizer will only add up to my dilemma. Turns out that MOISTURIZER is a must in our beauty routine, and I just have to look for a water-based moisturizer to address my needs. 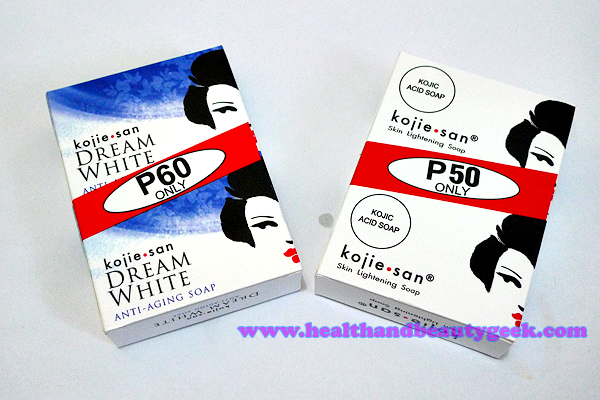 While this product is excellent for its moisturizing properties, my skin also needs additional TLC like anti-wrinkles and whitening benefits. Sometimes, you really can’t have it all in just one amazing product. Visit this link https://apps.facebook.com/bcode_neutrogena/ or click the image above to get your discount coupon. 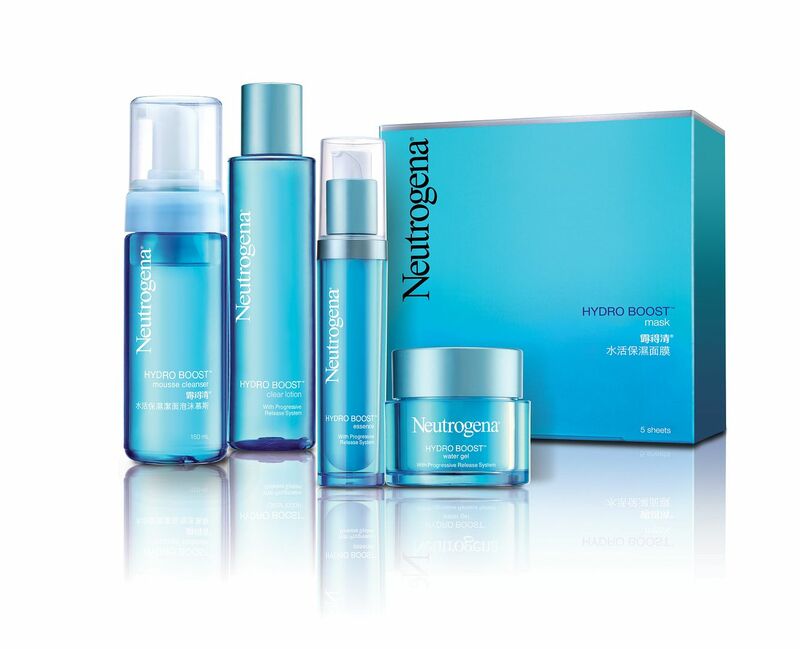 Get 20% off on Neutrogena Hydro Boost Gel SPF 30 when you buy from SM Watsons Mega Mall (2nd Floor, Bldg. A) from June 15 to July 15, 2012. Oh wow! Another great product from Neutrogena. I want to try it because it’s non sticky! I LOVE Neutrogena products in general and am SO looking forward to trying this whole line!! !